It's 1589 and England is embroiled in a furious pamphlet war between an impudent Puritan calling himself Martin Marprelate and London's wittiest writers. The archbishop wants Martin to hang. The Privy Council wants the tumult to end. But nobody knows who Martin is or where he's hiding his illegal press. 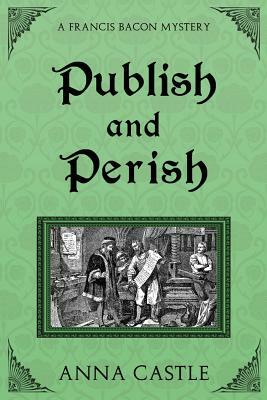 Then two writers are strangled, mistaken for Thomas Nashe, the pamphleteer who is hot on Martin's trail. Francis Bacon is tasked with stopping the murders -- and catching Martin, while he's about it. But the more he learns, the more he fears Martin may be someone dangerously close to home. Can Bacon and his band of intelligencers stop the strangler before another writer dies, without stepping on Martin's possibly very important toes?